Pergo was introduced in the U.S. in January 1994. 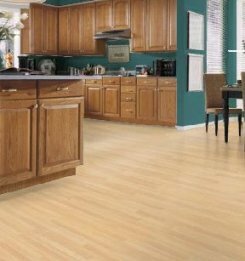 Today, Pergo is one of the largest producers of laminate flooring in the world. Whether you prefer Strip, Plank, Stone or Tile patterns, Pergo has something for you. Unlike traditional solid wood, with Pergo there's never any need to sand and refinish dings and scratches or worry about fading. Those spills that used to cause your heart to skip a beat are wiped away with a damp cloth. So if your life entails red wine, remote control toy cars, splashy baths, high heels or even an overly energetic family dog, no problem!